That's "progression" as in flavor changes happening over time (like the few seconds to chew). As a rough analogy, in music theory a chord is made up of different notes played simultaneously (and where the individual notes become difficult to isolate), but there is also chord progression, which has different chords played after the other, and the dynamic makes a tune that's different from simply playing all the notes in all the chords at the same time. I see in a lot of recipe discussion "melding" or flavors coming together, and here and there there's mention of specific ingredients or flavor combos popping out, but I want to focus specifically on the latter, and specifically on flavors being "phrasal", with individual "words" but also a "phrase" more than its sum parts. I ask mainly because I once had a chili that did a great job at having a flavorful base flavor, but with every spoonful, as I chewed, distinct flavors were "emerging" from the base one after the other (along with textural variation), and with a consistency per spoonful with how the flavors came out in order. I've also had stews with similarly stable bases, but distinct flavors "fell out" or "abruptly showed up" more in a raw way and/or with less consistent ordering. Then I've had stews that basically tasted like undifferentiated protein mush (it had a flavor, but each spoonful was as non-dynamic as the one before). The thing is, as I try to look up tips on how to do this flavor progression, I don't seem to have a clear term to disambiguate from other aspects of cooking. This isn't a question about how to get flavor progression, but a question about a specific searchable term to assist my research. I've tried to look up "preserving distinct flavors" as well, but I'm still getting nonspecific results. I guess similar concepts would be flavor highlights and isolation, as well as flavor contrasting. It'd be great to have an analogue to "chord progression" though. Your music theory analogy is apropos, because one of the common terms for what it seems you're after is flavor "notes." Unfortunately, there's not a lot of standardization in terminology for the temporal perception of flavor. The most common term is of course aftertaste, which is sometimes also known as the "finish" of a beverage or food. The link gives a bit more detail on temporal perception and flavor dynamics. The succession of taste perceptions is more commonly discussed in beverage tasting (particularly alcoholic beverages, though I've occasionally seen it mentioned regarding coffee or tea). The first part of perception often occurs before you even put the food or drink into your mouth, since volatile aromatic compounds are a large part of what we think of as "taste" (but which are actually smell). Those components are sometimes referred to as "the nose" or "bouquet," again particularly in beverages, those I've sometimes heard of the term applied to foods with distinctive smell profiles like chocolate. Once the food or drink is inside your mouth, you experience the immediate taste sensations on your tongue, but the volatile compounds also waft up through the back of your mouth into your nasal cavities. There are various technical terms for these components of flavor, including "sapictive" for flavor notes sensed in the mouth, "olfactive" or "olfactory" for notes sensed in the nasal cavities, as well as other elements that influence taste perception like hot/cold sensations or texture/chewing sensations. Most of these terms are not commonly encountered in food writing in general, but you sometimes see them in technical studies of flavor or food science. In some cases, as you chew, other flavor components are released (by evaporation of more volatile compounds or breaking down of the food mechanically through chewing or chemically by saliva), which again may be sensed in the mouth or the nose. The only term I've commonly heard for these in casual food writing is "middle notes," and I don't know that people consistently use that term to mean the same thing. The process of changing flavors during this part of tasting can be referred to as flavor "structure," "depth," or "development," among other things. There's not really a standard term that I know of. Once the food is swallowed, as I've already mentioned, the terms "aftertaste" or "finish" are used to describe any further taste experiences. In technical literature, the overall progression is sometimes referred to as a "temporal profile" of flavor sensations for a particular food. I know that this answer probably isn't particular helpful or specific, but that's partly because your question is discussing a relatively new area of research in food science. There are a few books published just in the past couple years that deal with flavor science and the psychology of flavor perception. While some of them deal with the temporal succession of flavor perception (and the nerve pathways and sensations that create them), I don't think there are common terms yet that have emerged which you could search for, other than the somewhat imprecise and casual terminology I've mentioned here. These tend only to be mentioned in the technical food science literature, and each has a different "protocol" for evaluating the interaction of flavor sensations over time. Most are, as I said, relatively new -- older literature will usually employ a more generic term like "flavor profile" or perhaps "temporal profile." Anyhow, searching for any of these terms is likely to turn up more technical articles on the kind of information you're discussing. Your musical chord analogy to the progression of taste resonates with me. As a cognitive scientist, I immediately thought of the term GESTALT. The correct famous phrase by Kurt Koffka is "The whole is OTHER than the sum of its parts" often mistranslated as "The whole is greater than the sum of its parts." Gestalt psychologists stipulate that perceptions are the products of complex interactions among various stimuli. The whole is not merely an addition of its parts, but has an independent existence in and of itself. This seems to be exactly what you are attempting to study. While it probably won't be useful as a search term now, you can make it your life's mission to make it so. Smile. You have experienced perceptual Gestalt before. How about this image? 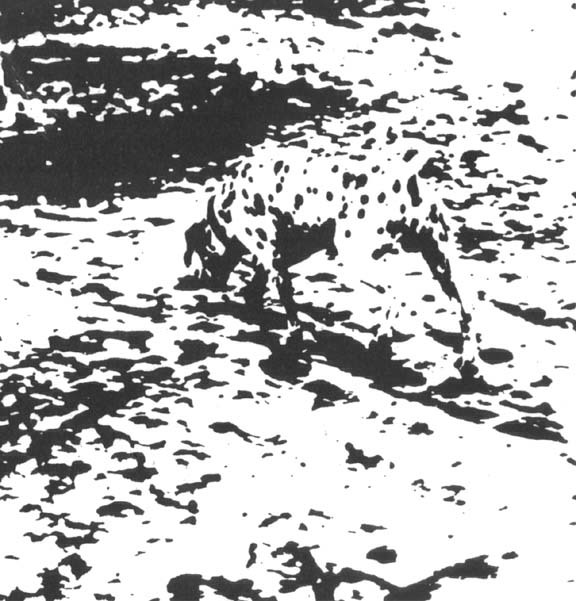 You perceive the Dalmatian not by seeing first the foot, then the ear, etc and then adding them together. The dog emerges as a whole. We still don't have an explanation as to why, but the experience is universal. This is a long winded way of saying I get where you are coming from. I hope this at least helps you conceptualize where you are heading. Best of luck. This is an extremely interesting concept you raise.